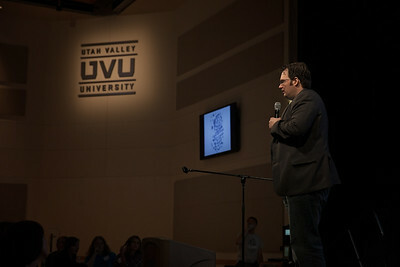 Brandon Sanderson gives the keynote address at Teen Author Bootcamp, Utah Valley University. 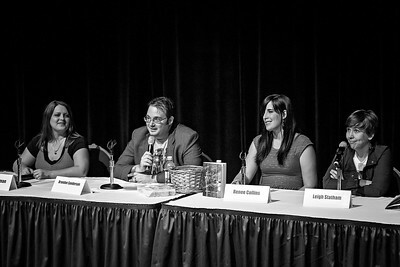 Peggy Eddleman, Brandon Sanderson, Renee Collins, Leigh Statham, and Tyler Jolley discuss world building at Teen Author Bootcamp. 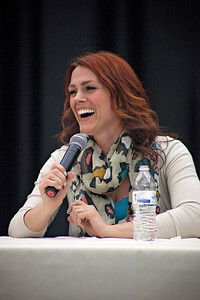 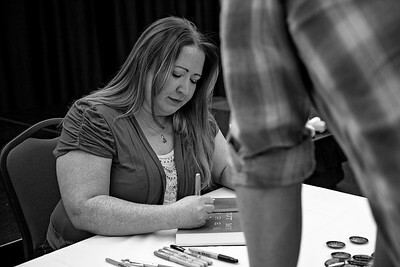 Leigh Statham comments on the art of creating believable worlds in fiction. 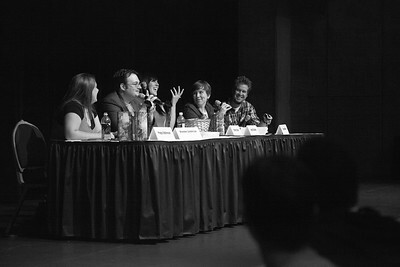 With Brandon Sanderson, Renee Collins, and Tyler Jolley. 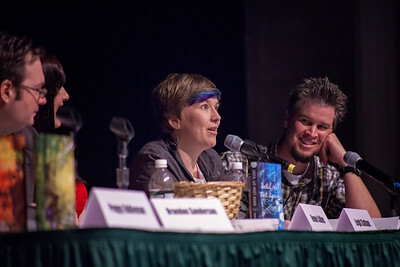 Leigh Statham and Renee Collins love audience members at their Teen Author Bootcamp panel discussion. 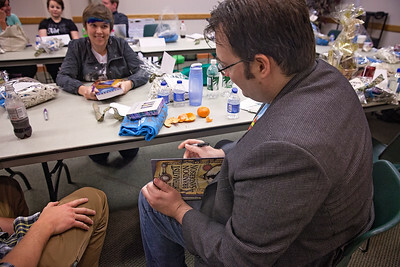 Brandon Sanderson with his novel, The Rithmatist. 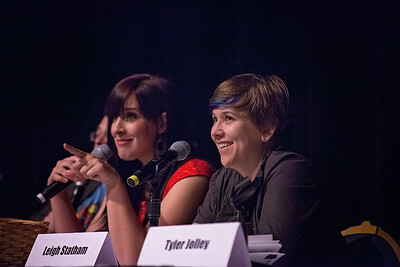 Tyler Jolley points. 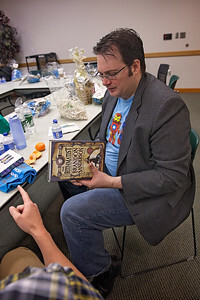 Leigh Statham has a book signed by Brandon Sanderson in the green room of Teen Author Bootcamp. 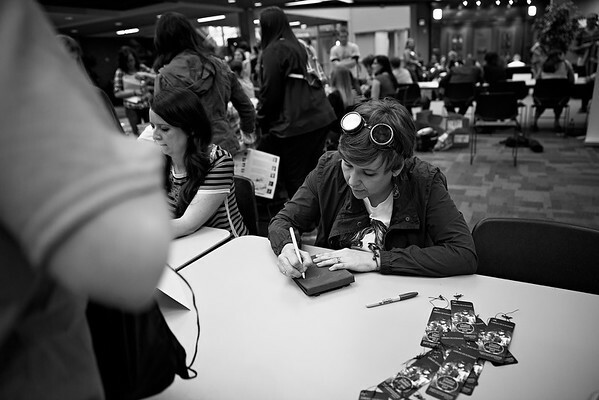 Leigh Statham, author of The Perilous Journey of the Not-So-Innocuous Girl, signs autographs for Teen Author Bootcamp attendees. 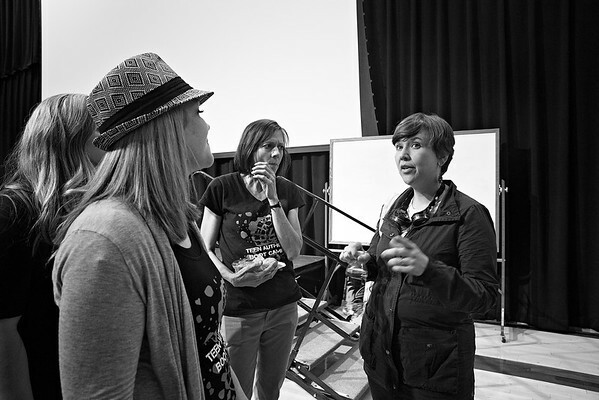 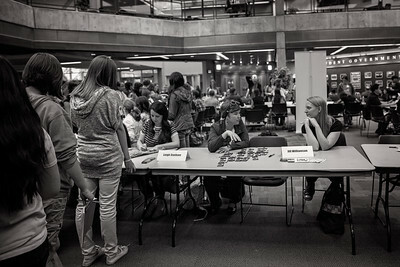 Leigh Statham and Jill WIlliamson discuss their work during a book signing at Teen Author Bootcamp. 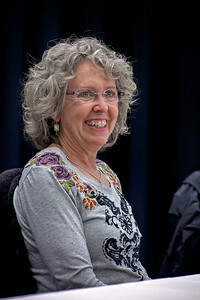 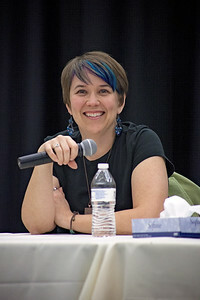 Leigh Statham talks with fellow authors at the end of the day. 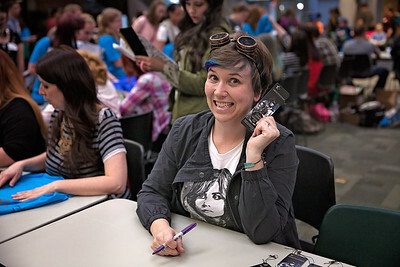 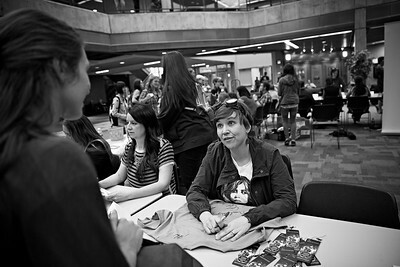 Teen Author Bootcamp. 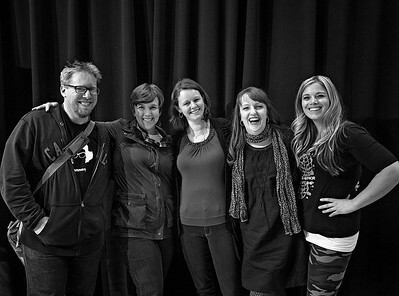 Jonathon Ryan, Leigh Statham, Amy Jameson, Jessica Day George, and Jennifer Jenkins are all smiles. 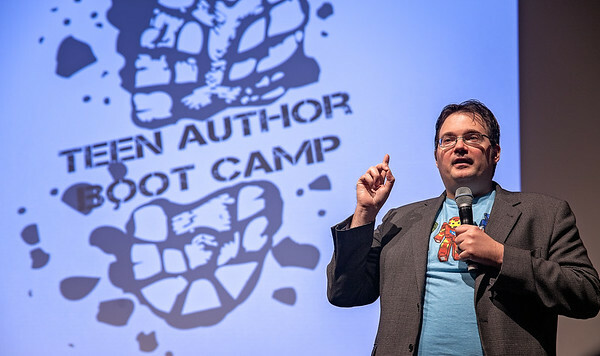 Teen Author Bootcamp.